HURRAY! I'd like to thank all the members of psypokes for making this happen! THIS THREAD WOULD BE NOTHING WITHOUT YOU! Known Moves:Rock throw, Harden, Block, Thuder wave. Just walk up and navigate the paths. You wil eventually get to Substation Ville. Route South is shallow path down. Its rather wet here, with lots of puddles (such as from Gen V). There are Ampharos Walking around here, and they seem to be monitaring the static in the air. Aside from the Puddle patches there are also grass patches. There are no trainers here and its a straight line. The Following are Pokemon that can be found here. Just walk down and navigate the path. You will eventually reach Junction Ranch. My name is ChillBill . It's good to see there's a selection of Pokemon already. Just don't overdo it. @ChillBill: WHOOOOOOOOOPS! Sorry about that. I am trying to not go to overboard with all the Pokemon, I have a basic idea of what other Pokemon I want to include. As you exit Route North, you will see the main building in Substation Ville, the power plant. Its a large gray building with a few main lines coming in, and many powerlines coming out. There is a person standing in front of the door. Person in front of door to power plant: Sorry, please comeback later for a tour. I know your dissapointed that yu dont ge to see the power plant right now, but continue on into the middle of the ville. To your left, is moutain stair case going up. TO your right is a building that leads to Route 600. There is a person standing in front of the building. Head to the Pokemon Center (near the middle of the ville). There will be one person to talk to. POkecenter dude: Substation Ville handles all the electricty for the whole of the island, from all the major power stations. Heal your Pokemon and head on out. There are 3 building in Substation Ville. One is a large apartment, the other 2 are small one floor houses. enter house number one. Enter the house and youll see a little girl. walk up and talk to her. Little Girl: Do you have an electric Pokemon? You get the TM for ThunderShock. Little Girl: use it on an electric type! Head on back out to Substation Ville. The 2nd house is the to the right of the 1st. Enter the house and there are two people. One is a man Sitting on a couch. There is a lady in the kitchen. Lady in kitchen: Please be quite. My husband just got of shift work at the power plant. Head back out. Go to the apartment, Which is closest to the mountain stair case. This is the lobby. There is only a receptionist behind the counter. Go to the elevator. There are 3 foors you can go to. 2nd, 5th and 8th floor. Choose the 2nd. On this floor there is a lone man in the center of the floor. Lone man: MHM! Your Pokemon looks to be very freiendly towards to! Here, This is to make your POkemon Stronger. Depending who your starter is, youll either get, Charcoal, Miricle seed, or Mystic water. Head back to the Elevator and choose floor 5..
On this floor is a little girl chassing a Mareep. Little Girl: MAREEP! MAREEP! MAREEP! MAREEP! There is also the little girls father. Father: Isn't that cute. MY little girl really likes Mareep. Go back to the elevator and go to the 8th floor. On this floor you wont see much, it is just an empty room. There is a peice of paper on the desk. Examine it. Peice of paper on desk: Power station. 10. Head back to the elevator and to the first floor. Head on out and get ready to go up the stairs. When your ready go up the stairs to Glacial Run. The main bulding in this area is the power plant. It looks to be a larn barn type building. You can't enter it at the moment. Talking to the guy at the fron door will give this message. Guy at door: Sorry Sonny. No Tours right now. Come back later ya'hear. The ranch isn that big, all there is, is a Pokecenter, and a rather large ranch house. There are two paths. the one of the left is currently blocked by a person. Person blocking the left path: GIANT MUSHROOMS! HUGE! SO MANY! ....Ok, ignore the person with the Mushroom Phobia. The path to your right takes you to an Icy enterance to an underground type enterance. Head to the Pokecenter which is at the spot were the roads split. There will be a person to talk to in the Pokecenter. 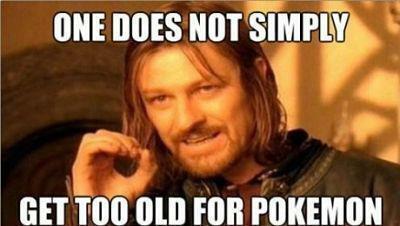 Dude IN Pokecenter: Yep, thats right. We use electricty here. Its just a small amount though. And we use only renewable sources. Heal your Pokemon and head to the big ranch house. On this floor there is a little girl and a woman. Talk to both. Little Girl I want to see a Pokemon that goes "Zap Zap". YAAAY! ZAP ZAP ZAP ZAP! HERE TAKEY! Go talk to the lady. Lady: Not many people live here, but we also dont need that many people to run the power station. On this floor is a couple of Pickachu. Talk to the one in the middle. Little boy dressed as a Pickachu: PICKA PICKA PICKA CHUUUUUUUUUUUUUUUU!!! Talking to the other Pickachu: ......"Picka?" The Pickachu seems confused. Go up to floor three. On this floor there looks to be a family. Dad: Oh! Your on an adventure with your Pokemon are you? Maybe this will help you! Depending on your starter you will get either th charcoal, miracle seed or Mystic water. Mom: AWe, what cute Pokemon! Little boy: When I get older I want to go on my own Pokemon journey! Head back down and out of the ranch house. Go to the left and down the enterance to Icey Narrow. Whoa, whoa, whoa. No mysterious message in the ranch? @Chillbill- The peice of paper with writing is just that. There is no mysterious meaning behind it. OR IS THERE? "DUH DUH DUHHHHHHH! As you walk around you will see snowmen. The only way to find a Chemisnow is to examine a Snowman. The best way to tell if a Snowman is a Chemisnow, is if the snowman is wearing a purple scarf. As you walk along thhis straight path, you will run into a few Ice patches. Very simple to navigate, so no explanation is needed. After your first Ice patch, you will face your first Trainer. That message will appear everytime you examine a snowman that isnt a Chemisnow. Continue on past these snowman, walking on small layer of snow(walking in snow is were you will find Pokemon), making crunching sounds. You will come across another icy patch, on the other side another trainer. Water Driller: There is alot of water stored in this here Glacial. My job is to get it out! Continue on past Him, Here you will come to a large patch of snow. Not enough to make you sink and walk, you can still run here. Continue in a northerly Direction. YOu will eventually come across a large out crop of boulders. There will be a sligh Opening. Go on in to Area 2 of Glacial Run. You will notice that the trees are covered in snow. Some will be covered in Ice. Trees covered in ICe house the Pokemon Freezoach. Simply walk up to them and press "A". As you will walk along, you will find your first Ice patch. Navigate it to battle a Pokemon ranger on the other side. Pokemon ranger: This is a very fragile ecosystem. I need to see if you're gonna endanger it! He Will have a lvl 15 Snover (Powder Snow, Razor Leaf, Icy Wind, Grass Whistle) and a lvl 15 Icyrabbit (Bite, Defense Curl, Icy Wind, Iclcle Spear). Hmm, nope, your dont pose a threat to nature. Continue on ahead (in a southerly direction) You will notice beams of light bouncing of the snow and ice. The scene is very peaceful here. You will come up to Icy patch #2. Again naviagte to battle a trainer on the other side. Which happens to be a little kid, that is WAAAAAAAAY to bundled up. He will have a lvl 15 Chubchoo(Powder Snow, Bide, Growl, Icy Wind) and a lvl 15 Snorunt(Powder Snow, Double Team, Bite, Icy Wind). After winning againt the kid, continue on until you come across a line of trees with a hole in them. Go through the hole to go to Area 2. And as usual, I'll be taking a break on the weekend and will post the next section on Monday. Everyone have a good weekend now! ~What about a fiery zone, like a volcano or something? There is no area for fire Pokemon in any classic pokemon games (without magma hideout), and I'm sure they really deserve it. is there not a volcano/fire section in RSE? Yes, Magma Hideout, and the volcano with no grass patch, so no Pokemon. RSE has Fiery Path, too. The snowmen and ice trees are nice niches. Well done. HAPPY MONDAY! Hope everyone had a Good Weekend. @ChillBill: Glad you like the idea of the snowmen and the trees! This part of Glacial run is more prone to snowstorms than the first area. As such there is more snow here. Will will notice that you are sort of in a snow filled river bed, since there are rock walls on either side of you. The path is straight with a few turns. You will be unable to run here, because the snow is so deep. You will be going up hills and down into divets. There is a small chance to end up in a wild double battle here. When you first enter the Area you will see a Freeze heal. YOu will also run into random items in the snow (Randome Pokeballs, revives, Heal items, status items, Icy rocks, and rare candy). Just simply walk along following the path. YOu will run into a few trainers along the way. Hiker: Ohohoho! You look strong! He will have a lvl 16 Icorge( Rock Throw, Ice Punch, Rock Polish, take Down). Water Driller: Gotta get that Ice! He will have a lvl 16 Tikewoon(Bulk up, Boulder Lift, Low Kick, Karate Chop) and a lvl 16 ChillBull(Frost Breath, Take Down, Haze, Horn Attack). Little Kid #1: I made a snowman! Little Kid #2: Mine Snowman is better! They will both send out a lvl 16 Chemisnow(Sludge, Icy Wind, Acid Armour, Double Slap). Little Kid #1: See! My snowman is strong! Little Kid #1: NO! MR. SNOWMAN! Little Kid #2: WAAA! HE MELTED! Ice Climber(male): Oh yeah! This is a challenge! He will have a lvl 16 Chillbull, a lvl 16 snorunt(Powder Snow, Double Team, Bite, Icy Wind), and a lvl 16 Icyrabbit(Bite, Defense Curl, Icy Wind, Iclcle Spear). Oh yeah! I conqured it! Ice Climber(female): The cold helps me keep fit. Wanna see? Didnt I tell you it keeps me fit? Bundled up little kid: EEP! He will have a lvl 16 Sneasel(Quick Attack, Icy Wind, Faint Attack, Fury swipes) and a lvl 16 Chemisnow. Veteran(female): Hm, you lack experiance. Here let me show you some experiance in battle. She will have a lvl 16 Chemisnow, lvl 16 Freezoach(Bug bite, Icy Wind, Molt,Dig), a lvl 16 Snorunt, a lvl 16 Vanilite (Harden, Astonish, Icy Wind, Uproar) and a lvl 18 Cubchoo(Powder Snow, Bide,Fury swipes, Icy Wind). After beating all the trainers, you will come across a small hill that takes you out of the "river bed" and onto Area 3. Area 2 of Icey narrow will be a bit more prone to snowstorms than the first area. There are large pillars of Ice, that the light bounces off of. There is a lot of deep snow here, and you wont be able to run. There are less tree's here than the first area. You will need to walk around with the pillars, so even though the path is straight you will be snaking a lot. Essentially, just head straight and battle any trainers you bump into. There will be a freeze heal at the begining and various item hidden in the snow(Randome Pokeballs, revives, Heal items, status items, Icy rocks, and rare candy). Hiker: Wow. Isnt it just so Beautiful here? It is awe inspiring, isnt it? Black belt: Fighting off the cold here will make me and my Pokemon Stronger! Little Kid #1: LOOK AT THE BUG I FOUND! Little Kid #2: LOOK! LOOK! A BUG! They will both send out a lvl 16 Freezoach (Bug bite, Icy Wind, Molt,Dig). Little Kid #1: Bug types are cool! Little Kid #1: [i]NO, MR BUG! Little Kid #2: YOU SQUISHED HIM!! She will have a lvl 16 Sneasel (Quick Attack, Icy Wind, Faint Attack, Fury swipes) and 2 lvl 16 Icyrabbits. He will have a lvl 16 Snover(Powder Snow, Razor Leaf, Icy Wind, Grass Whistle) and a lvl 16 Freezoach. Veteran(male): Hm, you lack experiance. Here let me show you some experiance in battle. She will have a lvl 16 Chemisnow(Sludge, Icy Wind, Acid Armour, Double Slap), lvl 16 Freezoach, a lvl 16 Snorunt, a lvl 16 Vanilite (Harden, Astonish, Icy Wind, Uproar) and a lvl 18 Cryogonal(Icy Wind, Ice Shard, Sharpen, Rapid Spin). As you near the exit, you wil notice a cave with many ice Pillars that look like prison bars. As you approach/ walk past you hear what seems to be a roar and feirce wind will blow. The message "Its too windy, cant go any further!" will appear if you try to get close to it. Continue to the exit, which is a path way between 2 large thick Ice Pillars. Wow, these are lots of trainers. Is there a specific reason why there isn't a non-accesible area in Glacial Run? @Chillbill- There is a reason. I don't wanna say too much without spoiling, but I will say that later in the game, it will become accesible. Little kids buildinf snowmen: WE ARE MAKING A SNOWmAN ARMY!! YAAAY! Again, any snowman with a purple scarf is a Chemisnow. Also this area doesnt get snowstorms that often. The snowmen make a maze, so just navigate your way through. Near the exit you will have a double battle. Little Kid #1: IM THE SNOWMAN KING! YOU WILL NOT PASS! Little Kid #2: IM THE SNOWMAN QUEEN! BOW BEFORE HER HIGHNESS! The will each have a lvl 19 Chemisnow. Little Kid #1: YOU ARE NOW MY SERVANT! LITTLE KID #2: BEG FOR YOUR QUEEN'S FORGIVENESS! Little Kid #2: YOU BIG MEANIE! After deafeting those two, walk into Glacail Resort. Bug hunters: I know it weird for a bug hunter to be where there is snow, but theres a rare bug type here! I MUST HAVE IT! Rememebr, Trees covered by ice will have Freezoach. Also, Snow storms are less frequent here. Since this is a maze, just navigate it to the exit. You will be challeneged by 2 Bug lovers. Bug hunter Male: GO! MY AWESOME BUG! Bug Hunter Female: My bug glistens like a diamond, and its just as tough! They will both have a lvl 19 Freezoach. Bug Hunter Male: YEAH! THATS MY AWESOME BUG! Bug Hunter Female: See? Just as tough. Bug hunter male: OH NO! MY BUG! After your Win continue to Snowville. Hey look, ANOTHER POST! YAAAY! The 2nd gym is here in Glacial Resort. This is a Ski resort town, so you will see a lot of skiers and snowboarders. First building you will come across is the Poke center. Head on in to heal your Pokemon. Talk to the person in the loungue. Skier in the Pokecenter: Brrrrrr. It's cold. Carefull out there. Your Pokemon May get Frozen! After talking to that person and healing your Pokemon head back out. YOu will notice that there are 3 Log cabins and a large Resort building that doubles as the gym. Head over to building #1 which is to the left and up of the Pokemon center. The inside of the Cabin is very plain like. There is a Large Fire Place in the middle, with a kitchen to the right and a bed to the left. Talk to the lone occupant of the Cabin. Snowboarder: Hey dude, isnt this place great? The snow here is just right. Your not gonna see a lot of tech here, cause of everyone is gonna be to busy on the snow! Head out and go to Cabin #2. It is to the right of Cabin #1 and is behind the Pokecenter. Same layout as Cabin #1. Here is a Family on vacation. Dad: This is nice. The family is together for once. Mom: Since we've been here, I havent heard the kids argue, Not even once! Little Boy: The Snow is soo much fun! I wanna build a giant snowman! Little Girl: YEAH YEAH! A SUPER DUPER BIG SNOWMAN! Head back out to go to Cabin #3, it is north of Cabin 1 and 2. Here there seems to be an elderly gentleman. Elderly gentleman: Why isnt this nice, a young wipper snapper like yourself took time to come see me! Here take this as my appreiation! HE GIVES YOU THE TM FOR FLAMETHROWER! Elderly gentleman: You plan on challenging the gym right? The gym here uses Ice type Pokemon, so that move should give you an edge! Head out and over to the Gym/ resort building. It is located to the right of all the other buildings. Bob is waiting for you. Bob: HI THERE! Mia is the leader of Glacial Resort's Gym. She is a champion skier and uses ice type Pokemon! Grass and flying will be frozen solid, But fire can melt them into puddles. Beware of Freezing, so here! BOB GIVES YOU A FREEZE HEAL! The Enterance to the gym is on the second floor. Talk to the 3 people on the first floor if you so choose. Snowboarder Female: This is actully my first time snowboarding.....Ive fallen down alot. Head up the stairs on either end of the resort to the balcony on the second floor. Enter the Opening to take on the gym! Here in the 2nd gym you will face 4 gyms before the leader. The gym's floor is rather icey. To get to the first trainer, walk straight onto the ice and slide forwards to a set of two rocks. You will only be able to slide to to the right. Here you will face trainer #1. Snowboarder Female: Oh yay! Were gonna have some downhill fun! She will have a lvl 19 Sneasel(Fury Swipe, Icy Wind, Faint attack, Quick Attack). Walk down a bit, so you can slide to the left and past the two rocks before. You will get to face trainer #2 now. Skier male: Swish Swish Swish! He Will have a lvl 19 Sneasel as well. Slide to the left, then up.You will come cornered to another rock. Slide to the right to a free patch. Walk down a step then slide to righ to trainer 3. Ski patrol(male): WHOA WHOA! This slope may be too dangerous for you! He will have a lvl 19 Chillbull (Frost Breath, Take Down, Haze, Horn Attack) and a lvl 19 Snorunt (Double Team, Headbutt, Icy Wind,Powder Snow). You'd better turn back and try the bunny hill first. Hmm, nope youll be fine. Walk down a step then slide left to face the final Trainer before Mia. Ski patrol(female): You have to be in top shape to face our leader. She will have 3 lvl 19 Sneasels. Sorry, but im gonna have to turn you away. WOW! Looks like your ready to take on the toughest slopes! Head to your left for your face off with Mia! Mia: WHY HELLO! You came all the way up here to face me huh? That must have been rough on you and your pokemon! By the looks of it you and your Pokemon Managed just fine! I can still see the Fire in your eyes that kept you warm through the cold! As Gym leader, its my job to see how Hot you burn! But dont be surprised if I snuff it ouy with an Avalanche! Go to a cut scene where we see Mia do some fancy sking down a hill. When she passes the finish line at the bottom, she throws out a Pokeball as she goes to stop. Get ready cause thing are about to get Chilly! 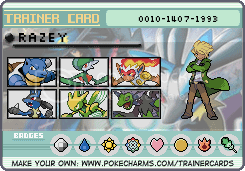 Pretty straight forward, Mia will start with Sneasel and work her way up to Chillbull. Chillbull will be holding a sitrus berry. Watch out for Polar shift and Glare. Chillbull will use Glare on the first turn. If you get paralyzed, youll get hit with Polar Shift, which will lower ALL your stats by 1 stage, while increasing its attack and sp. att by one! Then it's either Take down or frost breath. Try to take ChillBull out Fast, or else the fight might be tough. [i]Looks like your Fire didnt burn hot enough. Dont feel bad though, it takes time to get your Fire really burning. WHOA! There was nothing I could do! That Fire of yours. And the Fire of your Pokemon. You might be young, but your Fire burns intentsly! After beating Mia you will get the Downhill Badge! Mia: That's the DownHill badge! All Pokemon up to lvl 30 will Listen to you now. Even ones got through a trade. HERE! Take this too! YOU GET THE TM FOR POLAR SHIFT! Mia: That Contains Polar shift. It lowers your opponets stats while increaseing your own. It also can make it hail if its raining! The lights in the gym start to flicker. And Mia gets a call. Mia: Oh Hi Rick! Yes, I did not notice the power flicker here. Hm? What? Yes he's here. Oh! Okay got ya! Mia talks to you now. Mia: That was Rick, there seems to be something up with the power. Can you check out the Power Station for us Pleaaaase? Here Ill also register me and Rick in your PokeBerry. MIA REGISTERS HER AND RICK IN YOUR POKEBERRY! Head back to Substation Ville. WELCOME TO SNOWVILLE! The Village thats Literally UNDERNEATH A GLACIAL! The Pokemon Center is the first thing youll see. Go on in and get your Pokemon healed up. You will see on person in here. Person in Pokemon Center: Is....is.....is this really safe? Having a town UNDER a glacial?? They make a good point.....Try not to think about the Ice over your head as you head back out. There wil be 2 Houses and then the Gym. House # 1 is to the left of the Pokemon center. The house is small, There is a Fireplace, kitchen and Bedroom. Talk to the Owner of the House. Old man: Yes its scrary having all that ice Above our heads. But years ago, the founders of SnowVill used this to craft the Ice to make sure it would never fall. YOU GET THE TM FOR FLAMETHROWER! Old man: That should also come in handy for taking on our gym leader. Head back out and go to house #2. Its located to the upper left of house #2. Here is a couple here. The lady of the house is in front of the fire place, while her man makes dinner. Dude in Kitchen:She does realize im a lousy cook right? Head on out and go to House #3. It is the closest house to the Gym. There is only a little cubchoo here. Cubchoo: *stares at you* Choo? The Gym here is a Sauna. Bob will be waiting for you. Bob: HI THERE TRAINER! Even though this gym doubles as a sauna, the leader here uses Ice types. Grass and flying types will be frozen. But Fire types can put the melt on them! Here take this and watch out for Freeze! Head on to the stairs that head down. YOu will be stopped by two people on either side of the stairs. Person #1: Hold your horses there trainer. YOu cant go down looking like that! Person #2: Thats right! we have a strick dress code for the sauna! Here, change into this. If your playing as a guy, you will have a long towel around your waist. If your playing the gril, Youll be wearing a one peice bathing suit, and a long towl around your waist (Sorry, guys the game is rated E. HEY! no long drawn out "AWEEEEEEEE"). Now that your wearing dress code head down to the gym! Down here, you will notice that the paths are ice, that lead to hot pools of water. Walk straight ahead and slide into pool #1 for trainer #1. Lady in the suana Pool: EEEEEEEK! YOU HOOLIGAN! ILL SHOW YOU! oooh, your here to challenge Joe. HEHE! Silly me. Head to your right and slide to a second pool. Head up 2 steps and then slide to the left past pool 1 and into pool 3 for battle #2. Dude in Suana Pool: Alright! Lets get steamed up with a pokemon battle! He will challenge you with a lvl 19 snorunt! (Double team, Bite, Icy Wind, Headbutt). OH NO! IM ALL PRUNY! Slide down to a free space and walk to to the left, you will be challened by trainer #3. He will have a lvl 19 Snorunt and a lvl 19 snover. Walk up past the hiker to the next ice path, it will slide you to pool 4 and your last battle before Joe. Little Kid: YOU CANT BEAT ME! NO BADGE FOR YOU! The little kid will have a lvl 19 snover, and 2 lvl 19 snorunt. Walk forward to a path that takes you to a wooden steam room, and Sauna Joe. Joe: Hm? Oh, Hi there. Did you come for a nice warm steam up? Hmm, wait a sec.....your eyes. Your here for a gym battle, huh? Well then, guess I should get my act in gear then huh? Let's see just how good you are and how stong YOUR flame is compared to mine. CUT SCENE! YOu will see a hand/ arm poor some water onto a bed of warm coals, follwed by a Dude with blonde hair and a towel stand up. He will add another spoon of water, then throw out a Pokeball! Joe will start with Snover and work his way up to ChillBull.Chillbull will be holding a sitrus berry. Watch out for Polar shift and Glare. Chillbull will use Glare on the first turn. If you get paralyzed, youll get hit with Polar Shift, which will lower ALL your stats by 1 stage, while increasing its attack and sp. att by one! Then it's either Take down or frost breath. Try to take ChillBull out Fast, or else the fight might be tough. PHEW! What a sweat. I was right, that look in your eyes. Congratualtions! After beating Joe you will get the Downhill(?) Badge. Joe: I know the badge doesnt match the Gym, But thats the badge! Pokemon up to lvl 30 will now obey you even in a trade. The lights will flicker. Joe will then get a call. Joe will then look at you. Joe: Here let me register me and Sam in your Pokeberry. JOE AND SAM GET REGISTERED IN YOUR POKEBERRY! Joe: Mind headin back to Junction ranch? Sam thinks there might be something wrong. Well, head on back to Junction ranch. Last edited by GofD on Wed Feb 13, 2013 11:26 am, edited 1 time in total. I don't like the girls' dress code. Period. A few things about the Gyms. Firstly, did you make Bug weak to Ice in your changes? 'Cos normally it isn't. Secondly, it would be fair if both leaders got Snover and switched between another Pokemon, since summoning Hail gives an edge. Other than these, you're fine. Keep up the good work. @ChilBill- I made an edit in my last post that should address 2 of your concerns. As for the dress code, LOOK A PENGUIN! *runs off*. Welcome back to substation Ville annd....OH NOES TEAM DRYAD HAS TAKEN OVER! PANIC PANIC PANCI! Your Pokeberry rings. Rick: (insert name here) So? ....... TEAM DRYAD HAS TAKEN OVER THE TOWN? This isn't good! Dont do anything rash till I get there! Dont do anything rash? Ok Np....lets just take on Team Dryad ourselves. Thats not rash. You'll notice a lone Grunt doing a partol. Grunt on Patrol: HEY! Your out during the curfew! He will have a lvl 20 FlameBud (Ember, Stun Spore, Razor leaf, Burn Powder) and a lvl 20 Rufflet (Fury Attack, Wing Attack, Hone Claws, Scary Face). You will be escorted back. OH NO! I cant let you near the Power Plant! He Will run off. Continue to the power plant. You will be stopped by another Grunt Before you try to enter the Power Plant. Grunt blocking you: You will not pass! He will have a lvl 20 Flaffy(Take Down, Charge, Cotton Spore, Thunder Shock) and a lvl 20 FlameBud. You wont stop us this time Kid! You will never stop team Dryad! The Grunt will inside after you beat him. Follow him in to the Power plant. You will have 5 battles as you navigate the maze. The Final Battle will be a double battle. Grunt #1: TEAM DYRAD IS WHO WE ARE! SAVING YOU FROM TECHNOLOGY IS OUR GOAL! TECHNOLOGY HAS MADE YOU UNAWARE! Grunt #2: You will not stop our plans bucko! He will have a lvl 20 Flaffy and a lvl 20 Voltactus. Turn around and head home. Yer bothering us. Well Ill be...Your rather strong. Grunt #3: Ya shall not get passed me ya annoying pest! Thats whats happening to annoying pests. They get squished. Grunt #4: Ya done for kid. He will have 2 lvl 20 FlameBuds and a Voltactus. Sr. Rank member #1: You will not be going upstairs. The first will have a lvl 20 FlameBud and lvl 20 voltactus. The second will have a lvl 20 Flaffy and a lvl 20 Pickachu. Sr.Rank Member #1: You will not be bothering us anymore. Sr.Rank Member #2: You are not experianced enough to beat us. Sr.Rank Member #1: But how? Sr.Rank Member #2: ..Maybe you are. As you get to the second floor you will hear (Aka, see) people talking. Power Plant CEO: You cant cut the power! ??? : LISTEN HERE YOU! All this fandangled Technology is making you weak! Look! yer cowering in the corner and im not even near you! Power Plant CEO: That is ridiculous! If you turn of the power, youll be hurting People and Pokemon! The Hospital's and Pokemon Centers will have no power! ??? : SHUT IT! Were cutting the power. You people are weak due to your reliance on Technology. You go to the Hospital when you have the little sniffles. YOU KNOW WHAT THE CURE FOR THAT IS! HARD WORK! HARD WORK WILL MAKE YER STRONG! ??? : Well, well, well. What do we have here? Your moved forward a bit by two grunts that come up behind you. You notice that there are several grunts, and the CEO is behind his desk with a grunt on either side. The ring leader of the operation is in front of the desk. ??? : Yer have been causing use a mighty bit of trouble, whipper snapper. YOur too young to understand this, But all this technology you see, is making yer heart weak. Not only that, but yer Pokemon's as well. ??? : I think it be about time someone puts you in your place and makes you understand just how weak ye is. Mr. Nature is gonna set you straight! The usually "big battle music wil play". Its time to take on Mr. nature! Tikewoon will be holding a Sitrus berry. He will start with flame bud and work his way up to Tikewoon. He only has 3 Pokemon, but dont take him lightly. They are well trained. THERE! Now you know yer place. Now behave as the grown ups work. WHAT! HOW DID A LITTLE WHIPPER SNAPPER LIKE YOU BEAT ME? YER HEART IS WEAK! WEAK! After Losing Mr. Nature looks closer at you. Mr. Nature: No wonder ye won. I didnt notice that Fire in ye eyes. Its not Strong, but it be there. A Grunt comes running up the stair's. Grunt: It's Rick and Mia! They are wipping the floor with us! Mr Nature: DOG GONE IT! BOY'S PACK UP AND MOVE OUT. THERE BE NOTHING MORE WE CAN DO HERE! Mr.Nature: LISTEN WELL! Ye may have a Fire in your eye, but technology is still keeping it down. As long as tech is around, that fire will never burn bright! Next time, I be sure to make the plans succeed! The screen blacks out and when it comes back Team Dryad and Mr. Nature are gone. Rick and Mia come up the stairs. Rick: ...you took on Team Dryad all by yourself? I told you to not do anything rash Kiddo! Mia: Dont Worry Rick, it looks like he/she did just fine. CEO: Yes thank you so much for your help! If they had cut the power, it would have been a disaster! Here let me heal your Pokemon as thanks. The Ceo Heals your Pokemon. Ceo: If youll excuse me. I need to go make sure everything is working fine. The Ceo Goes down the stairs. Mia: Your gonna head off to route 600? Be careful. That place was affected by a Nuclear Meltdown 75 years ago. Rick and Mia leave. Head out of the power plant and go to where the guard was earlier in your adventure. He is now gone. Head on through to route 600. Welcome back to JUnction Ranch annd....OH NOES TEAM Tech HAS TAKEN OVER! PANIC PANIC PANCI! Your Pokeberry rings. Sam: (insert name here) So? ....... TEAM Tech HAS TAKEN OVER THE TOWN? This isn't good! Dont do anything rash till I get there! Dont do anything rash? Ok Np....lets just take on Team Tech ourselves. Thats not rash. You'll notice a lone Grunt doing a partol. Grunt on patrol: Why arent you in your home. You are to return to your home. The Grunt runs off. Head to the Power Plant to battle the grunt guarding it. Grunt guarding the door: I remember you. YOu shall not intervene this time. He will have a lvl 20 Voltorb(Charge, Spark, Rollout, Screech). You will not stop us. This is Alpha, perimeter breached. The Grunt will enter the Power Station, Head on in after him. Begin your way to the stairs. You may know what your doing, but you cant stop us. Grunt #2: Team Tech will save you. He will have a lvl 20 Elekid(Low Kick, swift, shock wave, thunder wave) and a lvl 20 Voltorb. I shall set you free. We are just trying to help. Grunt #3: Stop right there. This is no place for a distracted kid. He will have a lvl 20 Shockitox, a lvl 20 Voltorb and a lvl 20 Shockly. You are distracted, thats why you lost. Not so distracted as I thought. Grunt #4: That will be far enough. He will have two lvl 20 Shockitox's and a lvl 20 Elekid. You will not be goinf any farther. You may have gotten pass me, but you will not stop our plans. Sr. rank Member #1: YOu will not disrupt the meeting. Sr. rank Member #1: We will not lose. The first wil have a lvl 20 Shockitox and a lvl 20 Voltorb. The second will have a lvl 20 Shockly and a lvl 20 Elekid. Sr. rank Member #1: You are not match for Team Tech. Sr. rank Member #2: We are trained for this. Sr.rank Member #1: You will be sorry. Sr.rank Member #2: You may have won, but you will still lose. head up the stairs to floor 2. As you enter the 2nd floor you will see two people talking. One is the person in charge of the Power station, the second is a man in a cloak. There are also a few grunts on this floor. Power station Manager: You cant increase the power output! The grid wont handle it! Man in cloak: The power output must be increased. The technology wont run on this low of a wattage. Power Station Manager: YOULL BLOW THE GRID! THAT WOULD START FIRES AND DESTROY FORESTS AS WELL AS OUR HOMES! Man in cloak: That is a chacne we must take to help free you from your oppression. You are finally noticed by a Grunt. Grunt: Luitenant! WE HAVE AN INTRUDER! The man in the cloak turns to you. Man in Cloak: I am LT. Mark. I will make sure that you do not interfear with our plan to increase the electrical output. Technology shall free you. Tikewoon Will be holding a Sitrus berry. He will start with Shockitox and work his way up to Tikewoon. He only has 3 Pokemon, but dont take him lightly. They are well trained. All members Move out. We have been compromised to much. After winning against Lt. Mark you hear Commotion. Lt. Mark :It seems the Gym leaders are here. You. You are a strong trainer indeed. But heed my warning: Do not interfear with Team Tech anymore. If you do, you will lose that Fire I now see in your eye. TEAM TECH! MOVE OUT! The screen will go black and Sam and Joe will come up the stairs after the screen comes back. Sam: WHAT THE! YOU TOOK TEAM TECH ON ALL BY YOURSELF? Joe: Well now. You are quite somethig arent you. Power station Manager: Thank you so much. The grid on the Island couldnt handle the increase they wanted. It would have been disasterious. Let me heal your pokemon as thanks. POwer station manager: Excuse me, I need to go check on the pokemon downstairs. HE will go down the stairs. Joe: Sam, I think he/she did what they thought was right. Whatya say we head back. Sam: I guess your right. Good Job Kiddo. Sam and Joe will go back down the stairs. You also go down. Head out of the power station and to where the guy was blocking your path. Keep going past to Route 500. Last edited by GofD on Thu Feb 14, 2013 8:47 am, edited 1 time in total. C'mon! Doesn't the dress code change at least in Valentine's day? And by the way, you can run but you can't hide. I've trapped this message with explosives, when you finish reading you'll die. Although GofD is dead now, I'll judge this as usual. I'm not quite sure about Mr.Nature and Lt.Mark having Sitrus in all of their Pokemon. Other than that, congrats. Too bad you'll never fix the mistakes. Well, Guess Im a ghost now. 1)Dress code will change when you date her. What it changes to is a surprise. 2) FlameBud is the evolved form of Smolderbud. 3) I have fixed that, and only the last Pokemon Will have the sitrus Berry. 2) Oops, my bad. I had forgotten. 4) Congrats on becoming a Pokemon Master. I never even noticed that I became a Pokemon master. HURRAY FOR ME! Thanks Chill. Now for today's Post. As per normal I will ba taking the weekend off from posting new stuff, So expect more stuff Monday. Route 600....looks like a devistated city that runs from west to east. There are crumbling blackned buildings(Some of which can be entered). Charred tree's are plenty here too. The road looks like it needs some work. As you enter in youll see a man standing. Walking off of the charred blackened road will result in wild Pokemon encouters. During the day you will only see a couple of Psychics. Psychic Moe: The spirits...they are calling. Psychic Ni: The voices cry, yet no one hears but me. At night you will see some Ghost Hunters. Ghost Hunter Mack: Shhhh, I think Im making contact. Dang...it was only a trainer. Oh, its not that scary. Ghost Hunter Lee: Im tryin to get a theraml Image of the whole area. WHOA! I think we got something! In the middle of this destroyed City you will see a monument, and a person standing there. The man Looks at you. Man: Hmmm, you seem to be strong and have a good heart...Hmm, come back after you win a few more gym badges. I have a favor id like to ask you. Here let me register my Number with you. Oh! By the way, Im Max, And I head the Group that looks after Radiation Flat just to the north of here. MARK REGISTERS HIS NUMBER IN YOUR POKEBERRY! Afterwards Mark walks North from the momument. Head to the east to Blackened Woods. This route is pretty much a forest that runs east to west. You will notice that the wind is a light yellow color this is because of the Pollen and spores. The area is rather quiet. There will be an elderly lady nearby when you first enter. Elderly lady: Isnt this place just so peaceful? The trees here have been around for centuries. Sometimes the Mushrooms grow over though, and this place gets overrun and impassible. There will be a few trainers here, mostly Pokemon Rangers. But first the Pokemon you can find here. The Pokemon can be found in the tall grass that is abundant in this part. There will also be some items to find as you walk your way thrigh here(The list is in no particular order). There will only be trainers during the day, and as previously meantioned, they are Pokemon Rangers. Pokemon Ranger Rye: I take my job very seriously. You take your's seriously too. Pokemon Ranger Sarah: Nature is just so amazing! She will have a lvl 23 Tangela (Mega Drain, Bind, Stun Spore, Sleep Powder). Pokemon Ranger Rob: TRAINING TIME! Pokemon Ranger Jess: I protect nature with bug types! AWeeeee my poor bug types. As you near the middle of the route you will see a Lady walking around in front of a large opening in the tree's. Lady:Hmmm, Looks like all the Mushroom's have been removed. Hmm? Oh Hello there Trainer. Im just making sure that all the Mushrooms have been removed. We Pokemon Rangers have to Keep the spores from Mushroom Meadow in Check. Oh Im Jess by the way! Jess walks around you a bit. Jess: You seem strong, and your Pokemon are really attached to you! But I wanna make sure. After you get some more badges come see me again. Here let me register my Number with you! JESS REGISTERS HER NUMBER WITH YOU! Jess will then go into the large opening of the tree's. Head to the left to Spooky Woods. Hope everyone had a Good weekend. Time for the next part of the walk-through! This Area was a Forest that was devistated by the Nuclear Explosion on Route 600. The area is average in size. There are a few Grass patches here(charred grass). The trees are twisted and blackened. They look like deformed hands reaching out of the ground. There are not many Pokemon here. There Will also be one trainer here, a little Old lady. She will have a lvl 23 Mosquitpiress(Vampbite, Leech Life, Pursuit, Glare) and a lvl 23 Litwick(Flame Burst, Nightshade, confuse ray,Will-O-Wisp). Little Old lady: If you happen to be in the area again, please come back to give this old lady some company. You will be able to rebattle her everynight. As you near the exit, you start to hear your name in a long drawn out moan, As you get closer to the exit, Your older brother/sister will jump out! Older Brother/Sister: HAHA! Did I scare you? I didnt? Well then, in that case you should be ok with a Pokemon battle! HAHA! Im older and stronger! Youll catch up eventually! WOW! You've been training havent you! After the battle your older sibling will talk with you a little. Older Brother/Sister: I Heard you've taken on Team Dryad twice now, and beat them! If Mom knew she'd have a fit! You better be careful out there (insert your name here). So ill give you this to help you. YOU GET THE HM FOR STRENGTH! Older brother/ sister: That should help you when you get stuck. Well im off! Until I see you again! He/she runs off. Continue to the exit, which an opening in the trees on your right. Ooooooooooo, Welllllcooooooome tooooo sppppppppoooookkkyyy Woooooooods! This part is an average sized area. It has a rather creepy feeling to it. The trees are over grown and the grass is rather tall. There are not many Pokemon to be found here. You will run into the only trainer here, An elderly Gentleman. Elderly Gentleman: Your quite the young whiper snapper arent you? He will have a lvl 23 Mosquitpiress(Vampbite, Leech Life, Pursuit, Glare) and a lvl 23 Seepirit (Nightshade, vine whip, spite, growth). Im not as old as I Look do I.
Ouch my back! Good show. Elderly Gentleman: Stop by again and keep this old crow company again! You will be able to rebattle him everynight. Older Brother/Sister: I Heard you've taken on Team Tech twice now, and beat them! If Mom knew she'd have a fit! You better be careful out there (insert your name here). So ill give you this to help you. Good ones, though. I wonder if the old people are the ghosts? Anyways, next up today's post, with Gym #3! Welcome to Cemtridge town. This town is....well no point sugar coating it, the town is a graveyard. There are many gray crumbling gravestones, the air is thick with fog. Add in some Lavender Town type music and you have one creepy town. There are only 2 prominant building in this town, The Pokemon Center, and a large mosuleum in the center of town. There's no one to talk to in the Pokemon Center, so do a quick pit stop for items, Tm's and to heal your Pokemon. (The Pokemon center is the first bbuilding youll notice.) There will be a few people Standing by gravestones. Talk to them. Old Lady #1: This town is the resting place for people and Pokemon. Please try to be quiet, and keep all Pokemon battle to inside the gym. Young Lady: My Beloved Pokemon is Buried here. *sniff* I miss cuddling her. Old Lady #2: I come here everyday to visit my Husband. Somone has to make sure he doesnt cause any trouble. After speaking to them, head to the Mosuleum, which is also the Pokemon Gym. It is a large grey, worn, crumbling building with two worn rock lions in front of the opening. As you first enter the gym you see Bob huddling in a corner. Bob: Mommy.....Mommy.....I WANT MY MOMMY! ......Okay Bob is having a moment. A random person enters behind you. Random person: *sigh* Guess Ill have to give the speech since Bob is Currently Unavailble. Welcome to the Cemtridge Town Gym! The Gym leader here uses Bug types. Psychic types will get creeped out by them, but Flying types sound the dinner bell.She also battles in the triple battle format. Here this may help you. You are given a Fresh water! Walk past the shivering Bob and into the main part of the Gym. You will notice that there are a bunch of Coffins here. (16 in a square 4x4). YOu will need to find 2 switches within the coffin to open the door to the Gym leaders Chamber. If you find the first on, but then not the second one, it will reset. (Much like the Vermillion City Gym from RBY.) There will be 3 trainers hiding in the Coffins. Im not gonan tell you where though. Little Kid: BOO! Did I scare you? AHA! I did scare you! Guess I didnt scare you.. This place may give me the creeps, but im wih my Pokemon! Grave Worker: Kinda odd that a Gym thats in a Cemetery Uses Bug types isnt it? He will Have 2 lvl 25 Ariados. After you Find both switches, head on through to the Leader Chamber to face Kayla. Kayla will be standing in a Coffin wearing a black dress.... To be blunt, Guys your eyes will pop out of your head. Lets Just leave it at that. Mistress Kayla: What is this? A trainer brave enough to enter my Chamber? Mhm, You are looking for a battle with me, Mistress Kayla? Well then, I shall not dissapoint. Now, are you brave enough? Go to a cut scene where you see Mistress Kayla walks out elegantly from her Coffin. Bats will flutter about. She will draw out a Pokeball, and throw it with a quick flick of her wrist. Tsk Tsk, you were unprepared for me. Well Well, Someone has been listening to their Pokemon's hearts. Congratulations. After the Battle Kayla will give you the Molt Badge. Kayla: With that badge, All Pokemon up to lvl 40 will Obey you. Also take this. She Gives you the Tm for Bug Army. Kayla: [i] That move, The more Bug pokemon you have the stronger it is. Theres abit of silence, then she registers her number in your Pokeberry without a word. Head back out of the gym. Go to the right, then go north to Route 4 1/2. Welcome to Graveridge. The town is pretty much a graveyard with a Pokemon center and a Mosuleum for a gym. Although the Town is a graveyard town, it doesnt look very creepy. The Gravestones, are in rather good condition, Although some are showing the signs of thre age. Each Grave has its own bouquet of flowers. The Mosuleum is Covered in Vines with little white flowers. There is more a sense of peacfullness then creepyness. Go to the Pokemon Center and heal your Pokemon to Full health, buy some items and Tm's if need be, and head on out to talk to the people. Little Girl: I visit my Pokemon Everyday and bring her Fresh flowers. Old Lady: A Grave yard is not a creepy place, but a silent peacefull place full of memories. Grave keeper: The job is a little creepy, But people like to know that their loved ones are still being looked after and respected. Little Girl #2: My Pokemon is not only here, but also in my heart. So it's like shes with me all the time, even when im not here. Head to the Gym, which is the Mosuleum in the middles of town. Bob will be waiting for you when you first enter. Bob: Yes, your in a Mosuleum....Not all that creepy is it? Anyways, Ronoldo uses Bug types and will challenge you to a triple battle! Bug types make psychic types shiver, but flying types are waiting for the dinner bell to be rung. Here this may come in handy. Bob Will give you a Freshwater! Walk past Bob to the main part of the gym.You will notice that there are a bunch of Coffins here. (16 in a square 4x4). YOu will need to find 2 switches within the coffin to open the door to the Gym leaders Chamber. If you find the first on, but then not the second one, it will reset. (Much like the Vermillion City Gym from RBY.) There will be 3 trainers hiding in the Coffins. Im not gonan tell you where though. Little Girl: Ronoldo is pretty! WAH! RONOLDO IS GONNA BEAT YOU UP! WHY YES! ILL MARRY YOU RONOLDO! OH NO! I WAS DAY DREAMING AGAIN! Gravekeeper: Hmmm, everything looks fine here. Oh a trainer! He will have 2 lvl 25 Shedinja's (spite, Mind reader, Fury Swipe, Sand Attack). Mhm, everything is in order. Oh no! the flowers wilted! After you Find both switches, head on through to the Leader Chamber to face Ronoldo. Ronoldo will be sitting in a rather large red chair wearing a black pair of leather pants and no shirt. Guys will be jelous of him and girls will Swoon over him. Ronoldo: WELCOME TRAINER! You must be very determined to come here to challenge me. NOW! Lets see if that determination stays with you in battle! Go to a Cut scene where Ronoldo gets out of his chair and picks up a Pokeball fro mthe armrest and walks toward you. He does a simple toss of the Pokeball and the battle begins! As meantined earlier, This will be a TRIPLE BATTLE! Mosquitpiress will be in the center surrounded by her two Mosquitervants. Due to Mosquitervant's ability, all single attacks directed at Mosquitipress will be redirected to Mosquitervant's. And also Mosquitipress's Ability, when her health gets down to low, she will sacrifice one of her Mosquitervant's to heal her health, as well as whenever she does a succesful attack. Your best idea is to try and take out her servants first and use attacks that hit multiple targets. Your Determination slipped away. You can not beat me like that. You are a very determined trainer! As are your Pokemon! Congratulations! After the Battle Ronoldo will talk with you. Ronoldo: For winning you get the Molt Badge! All Pokemon up to lvl 40 will listen to you! Even those from a trade! YOU GET THE MOLT BADGE! Ronoldo gives you a TM! Ronoldo: That Tm is Bug Army. The more Bug Pokemon you have the stronger it is! Ronoldo Registers his # in your Pokeberry! Head on out of the Mosulem. Go to your left and then south to route 3 3/4. Ahem. Well done, GofD. Well done. Twilight? What's Twilight? Also, Chill, Remember you look with your eyes! Don't make me get Frost or Krisp! Today's Post is simply just a short route, nothing big. Welcome to route 4 1/2. Nothing really spectacualar here. It still has that creepy feeling from Cemtridge Town. Although you cant find Pokemon here, you will find, however, The Tm for Spirit Call, and a Great Ball. There will also be two trainers that challenge you to a double battle. Ace Trainer(male): Can you push the creepy thoughts aside and beat me? Psychic(female): Me and my Boyfriend talk with our minds to each other. The Ace Trainer will have a lvl 27 Digpup (Dig, iron Defnse, Bulldoze, Howl) and lvl 27 Haunter (Shadow Punch, Sucker Punch, Confuse ray, Night shade). The Psychic will have a lvl 27 Herbyic(Confusion, Growth, Clam Mind, Bullet seed) and a lvl 27 Kadabra(Miricle eye, Kinesis, Confusion, Disable). Ace Trainer(male): If you cant push other things out of your mind, your not gonna get far. Psychic(female): Me and him are in perfect sync. Ace Trainer(male): Guess I couldnt get over the creepy feeling. Psychic(Female): MY FAULT? WHAT WAS THAT?! After beating them head on through the gate house to Iron Pass. Route 3 3/4 isnt that spectacular. It has a ratehr peacfull feeling to it. Although you wont find any Pokemon here, you will be happy to know you get the TM for Spirit Call and a great ball. You will also be two trainers that challenge you to a double battle. Ace Trainer(female): Dont you dare underestimate me. The Ace trainer will have a lvl 27 Palpitoad(Uproar, Aqua ring, Mudshot, Bubblebeam) and a lvl 27 Nuzleaf (Torment, Fake out, Razo leaf, growth). Psychic(male): I sense that you are confused. Psychic(male): I sense that a great challenge awaits you..
After beating them head on through the gate house to Quarry valley. Hey look! Another part of the walk-through! Welcome to Iron Pass, This route is a working Iron Mine. You will be needing strength for this area. As you enter onto the route there will be a Supervisor. Your char will now be wearing a yellow helmet. Go North where you see three boulders. Unfortuently you cant pass this way cause you need to be ON THE OTHER SIDE TO PUSH THEM. Instead you up the stairs on your right to a little ridge and head north. As you traverse the area you will come across sand patches, and boulders with a gray hue to them. Examing this rocks will either result in a Pokemon Battle or you finding one of three types of ore (Copper(Common), silver(Uncommon) or gold(rare))that a manic will buy. First the Pokemon you will run into. As you continue north on this little ridge, you wont see any trainers, but the whole ridge is covered in sand, so expect many pokemon battles. You wil eventually come to a dead end. You will have to walk over the road thats below you by walking across a steel beam. You wont be able to run across these. on the side you will see a few workers standing around. There appears to be a bloulder blocking the path. One of them will come up to you. Worker: [i] You dont happen to have a POkemon with strength that can push the boulder aside do you? Simply walk up to boulder (going north) and stand on the left of it and use strength to push it to the right. The workers will then jump up and down, and head North to get to work. Th worker from before will talk to you. Worker: Thanks for that. Here thisis my thanks. He gives you a Super potion and head on north as well. Continue north. From this point on you will be needing to Criss cross between the two side via the iron beams. You will also be needing to use strength every now and then to move boulders out of the way. YOu will also see people working with Fighting type Pokemon. Talking to them will generate this generic response. Working workers: Sorry cant talk now, Gotta work. There will also be a few Workers who happen to be Miners who will challenge you to battle. Miner(male) #2: Im on my break. Time for a quick Pokemon Battle. He will have 2 lvl 29 Arons. AAH. That loosens the muscles. Miner(female) #3: Can you Rough it? She will have a lvl 30 Rockador (Iron Arm, Boulder Lift, Bind, karate chop) and a lvl 29 Aron. Wow, you can rough it all right. Miner(male)#4: Let's see what your made of Kid, Steel or Gravel. YOu feel apart under pressure. Gravel. You held strong, just like Iron. Miner(male) #5: How do you work under Pressure? This will be a triple battle. He will have a lvl 30 Rockador, a lvl 30 Tikewoon and a lvl 30 Hedgesarge (metal Shine, Sowrd Dance, Iron Arm, Iron head). Looks like you fall short. Thats what I like to see, you kept your head on. out of the way. If you Go move the boulders, youll find the TM for BullDoze. You will also see a few peices of heavy machinery here. If you go through the gate you Will find yourself, in ForgeVille. Welcome to Quarry Valley. This area is rather flat and grassy area within a little valley, so there will be moss covered walls. You will need strength to get around occasionally. There will be a supervisor when you first come in. Supervisor: Hello there young'in. You'll need to wear this hear helment as you walk around here. This is a functioning rocky quarry. So be careful, ya'hear? You will notice to the left of the boulders blocking your path there is a narrow path that will take you to your first bridge across the pit.the bridge is just a small sliver of ground. You will be unable to run of this. Follow this path until you get to an area where there are some workers tryin to push a boulder out of the path. A worker will come up to you. Worker: Hey there. You dont happen to have a pokemon with strength do you? walk up to the boulder on its right side and push it to the left. The workers will jump up and down and then go on through. The worker talks to you again. Worker: Might nice of you! Here take this. You get a Super Potion. You will come across quiet a bit of people to battle as you navigate the paths. Quarry Man #1: DIG DIG DIG! Gotta get those rocks! Are these nice looking rocks? Quarry Man #2: Im just about to go on break. Care for a battle? He will have 2 lvl 29 Carnivines. Quarry Woman #3: City Slickers cant survie out here. Quarry Man #4: SandStorm or Granite? Miner(male) #5: Can you Dig it? This will be a triple battle. He will have a lvl 30 Rockador, a lvl 30 Tikewoon and a lvl 30 Mousyro (Cross Fire, Flamethrower, Swagger, Take Down). You dug it all right! After crossing over the pit who knows how many times, and pushing who knows how many boulders aside, you finally come to a stair case that take you down into the pit. There are ALOT of Pokemon and People digging here (im sure you noticed them as you were wondering around aimlessly up above). Talking to any of the people will result in the following. Generic response: Pick axe, pick axe, pick axe, TNT, shovel, repeat. If you go to your south through the gate house, you'll end up in Masonridge. Now if you head North to push the boulders out of your way, you will find the TM for Bulldoze.